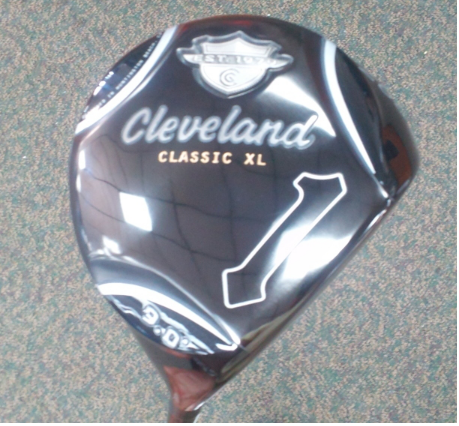 Cleveland Golf is continuing its throwback look for 2013. The Cleveland Classic Black Driver retains the persimmon look of yesteryear with the new trend in black drivers. The original Classic driver was one of the best performing drivers of last season with many everyday golfers being introduced to the driver lineup of Cleveland Golf for the first time. 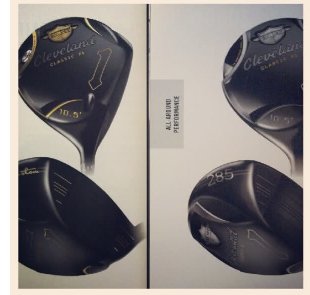 The Classic Black Driver will come in two models: the Classic Black XL Custom and the XL Classic Black 285. The Black XL will be targeted towards the better player. It will be more in line with the 310 driver of last season. It features the persimmon look on top with black and gold trim on the sole. The Classic 285 will be released with a standard hosel and no adjustability. The 310 Custom will feature Cleveland's first adjustable hosel technology. Unlike the past couple years, Cleveland Golf will not be using its sister company Miyazaki's shafts as stock options in the drivers. There will be options available from numerous companies that will make Cleveland's lineup as good as anybody's in the market today. The release will be sometime early spring. If the drivers are anything like the 2012 Classic driver it will be a winner in the driver market today. Cleveland drivers have the feel any player is looking for in a driver and with the stunning looks of the Classic Black lineup you cannot go wrong. Make sure to give these a try when they are released this spring. These pictures and more can be found at golfwrx.com as well as information about these clubs and many more that will be released in 2013. Take a look and you may just find a new website to waste your time.